A pretty close shave, I’d say. Heh. They look wonderful. I wonder, do you think it would be possible to shear a dog in the same way? Not that I can do anything at all in that line to Maizy since she’s been so traumatised by previous “grooming” experiences at the hands of “professionals” that she won’t even let me clip her claws. Sigh. Grumbly, I wanted to ask you about something else. I was just reading an article (unfortunately the whole thing isn’t available) in the 25 March London Review of Books about Hans Magnus Enzensberger (and his book whose English title is The Silences of Hammerstein). Enzensberger sounded like an interesting and sympathetic writer in the review, he does most of his writing as essays. I’ve never heard you mention him though, so what do you think? Yes, my daughter did Topsy with the clippers and she didn’t seem to mind. Topsy’s a soft-coated Irish wheaten, as I said, and she has to be clipped (she doesn’t shed her fur). It was pretty damn short when she used the clippers, though. Like the goats. We can’t adjust the length because the fur or wool gets all tangled up. At this time of year short fur doesn’t matter. I don’t know, it’s probably worth buying proper dog clippers even though any equivalent product for pets is always ten times the price of a human product. Unless you’re planning to use them on yourself, of course, like I was. We have the same problem with nail clipping as you & Maizy. We have to get the vet to knock her out and it costs a fortune. I heard yesterday about a possible solution to both your problems, called “the New Year pill” (at least it’s called that here). You can buy them at the vet’s and they make your dog go all woozy and then they let you do their claws (and I suppose fur). The name perhaps comes from the fireworks they have on New Year’s eve (here) when you’d possibly want your dog to be half asleep. Maybe it’s called the Guy Fawkes pill in England. Anyway it’s worth looking into, I thought. For a long time, I thought Enzensberger was one of those leftie intellectual poets, the kind that get articles written about them in Spiegel and the Culture sections of the better newspapers. So, since I never read Spiegel or those newspapers, and seldom poetry except in English, that was pretty much that. Last year I caught part of a TV documentary about him, touching on the dozens of things he’s gotten involved with apart from poetry: painting, architecture, mathematics, politics, social criticism. He himself came across as a sensible guy with sharp ideas. His German bio-WiPe contains quotes with viewpoints familiar to me from Sloterdijk. So he seems to be of the Right Sort. Someday I’ll read something by him, I guess. I am just gut-level suspicious of people who write poetry. Woosy Catholics won’t make all those disturbing noises from inside the fire when decent people are trying to have a good time with their families. Or is that a strawman argument? 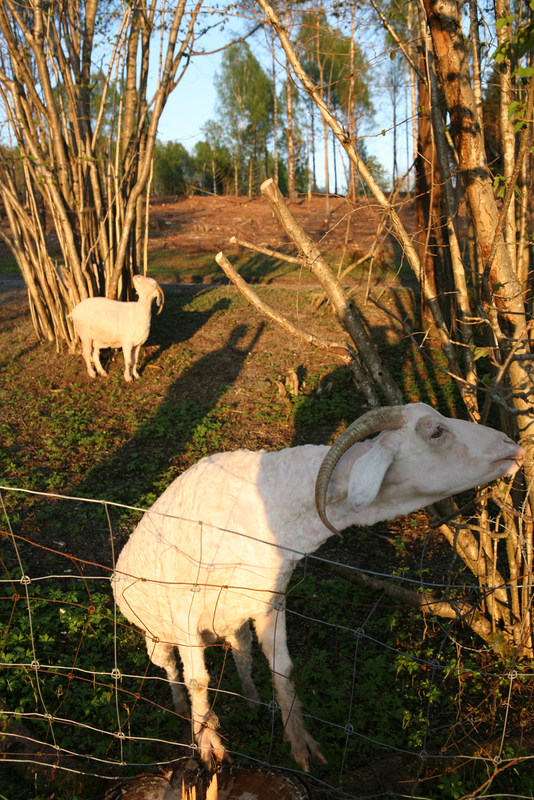 Do you know if there is any shear stress induced in the goats? There must be. 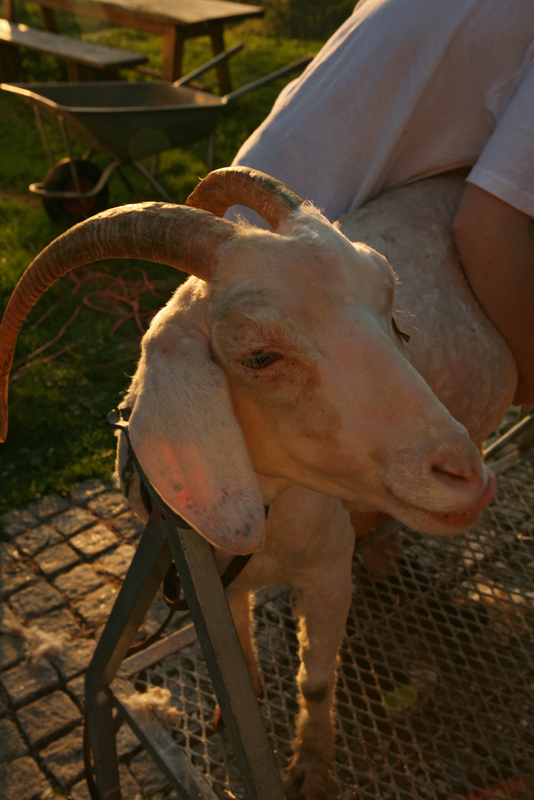 To avoid sheer stress, the goats should remove their nylons before the procedure commences. 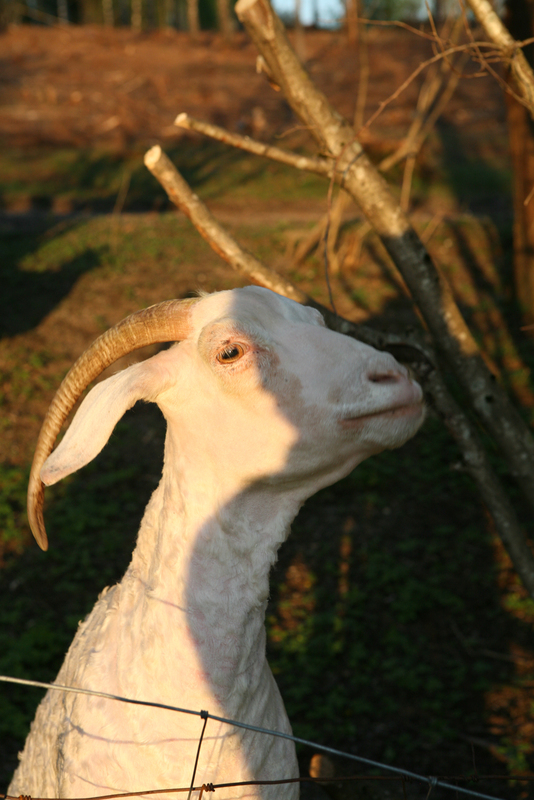 There’s always a lot of tension and hidden stresses, because the goats are never statically determinate. The shearing people are usually pre-stressed and the ultimate moment is when they take a small post-tensioning glass of something afterwards. Trond, I had to look up “strawman argument” (“if person A holds position X, but person B turns it into position Y…”). It’s a useful phrase; I’m going to accuse everyone of making strawman arguments from now on. I’ve liked Enzensberger’s poetry for a long time; never read his essays. Someday I’ll read one of them, I guess. I am just gut-level suspicious of people who write essays. That may be a strawman argument, Language. Orwell wrote wonderful essays. Not necessarily involving goats, though. I was introduced to Orwell’s essays, while I was a teenager, by my mother who had heard about them from our family doctor. It was a funny thing, because he only had the usual fishing and knitting magazines in the waiting room (the doc, not Orwell). Grumbly, you must try to be brave. AJP, the magazines in the waiting room may have been mostly for the clients and did not reflect the more sophisticated intellectual interests of the doctor, which he may have kept to himself except for discussing them with interesting patients. Agreed. Though, as we know, there’s nothing unsophisticated about knitting. You are right. Those socks the other day were designed by a mathematician. That seems a failing, actually, as I’m pretty sure he kept goats. We have the same nail cutting problem with Champ, BTW. Only time he ever bit someone. Well, I’ll keep you all posted about the New Year’s pill. Orwell looked not unlike a newly-shorn goat. There is a brillant, blood-chilling essay by Orwell that is not generally familiar, because it was published in 1984 under a pseudonym: The Theory and Practice of Oligarchic Collectivism by Emmanuel Goldstein. This essay, and only this essay, is what makes 1984 worth reading, in my opinion. All that soppy human-interest stuff involving Winston and Julia is infra dig. For some reason, no one to whom I have spoken about 1984 ever remembers the Goldstein essay. The WiPe article on 1984 quotes some of it, but fails to make absolutely explicit the clever, perfectly reasonable reason why the Ministry of War is called the Ministry of Peace. The name of this Ministry is what everyone remembers, but not the exact reason why it is called that. The WiPe prefaces this quote from 1984 with “Minipax reports Oceania’s perpetual war” (Minipax is the Ministry of Peace). As far as I remember, however, the quote is in fact from the Goldstein essay. Minipax would not expose its motives in that explicit way. Goldstein, however, is so plausibly explicit about historical developments leading to Ingsoc that it just takes your breath away. Years after I read 1984, I came across Goldstein’s basic ideas about “three-tiered class societies” and “perpetual war” in a book published in the 1920’s. I think it was Tawney’s Religion and the Rise of Capitalism (1926). I should mention that calling the Ministry of War the Ministry of Peace is actually NOT an example of doublethink. If you paid attention to Goldstein, you understand why. Historians Charles and Mary Beard have characterized the era [post WW II] as perpetual war for perpetual peace. I have to go out now, but I think that’s a good one, Grumbly. That’s the American Mary Beard, not the English Mary Beard. I heard the latter once on Desert Island Discs. Impressive lady. Shear stress in Norwegian is skjærspenning. 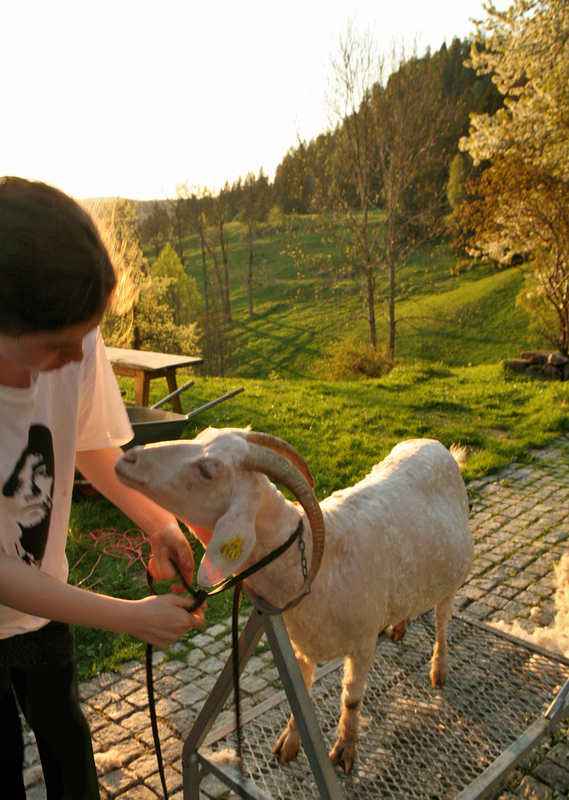 Thus we learn that Norwegian goats are meeting their destiny with positive expectations. Norwegian ragg “goat’s hair” translates into English shag. Shag must be cognate with Norwegian skjegg “beard”. 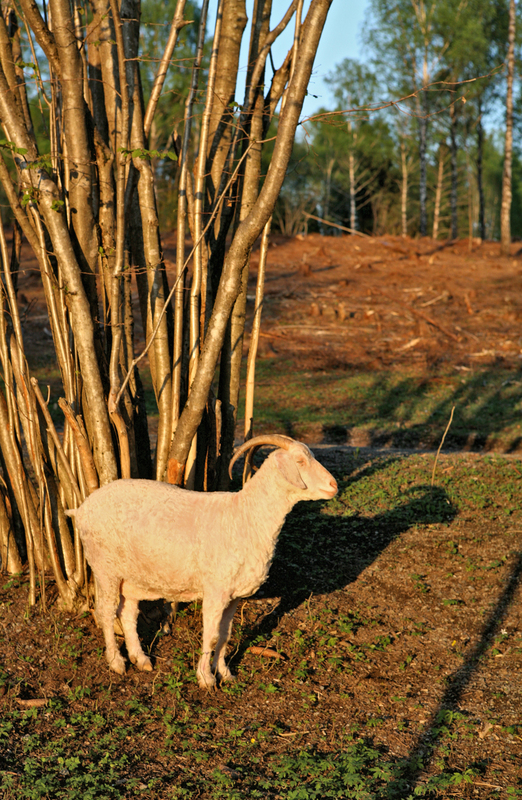 Are Charles and Mary goats? Shag is a rude word in British English, as yet unknown even to most Pruritant Americans. What he lacks in weight, he makes up for in currency. Norwegian ragg “goat’s hair” translates into English shag. Shag must be cognate with Norwegian skjegg “beard”. As with a shaggy dog story. But there’s also a kind of pipe tobacco called shag that looks like a beard. Ezra Kilo or Ezra Euro? So ragga brudar means “bearding the ladies” ? You’re behind the times, I’m afraid. It was utterly unknown here until the appearance of the first Austin Powers movie, at which point it became tiresomely overfamiliar (“Shag me, baby!”). I believe Australian root preserves its piquant obscurity Up Over, however. That’s the price I have to pay for never having seen an Austin Powers movie, nor wanting to. I watched a few minutes of one inadvertently on German TV once, while doing my annual spring recalibration of the shudder sensors. Since most everything here is dubbed in German, I wouldn’t have picked up on “shag” anyway. It’s often hard to tell what those who want to selectively preserve / restore the Eighteenth Century are on about, but I think they mean The Decline and Fall of the English System of Finance. Thanks for the tip, MMcM. I quickly found the piece in Paine’s collected works at the Online Library of Liberty. It contains not a shred of Goldstein Gothic, which is not really surprising for the period. Most of it is devoted to a rather tedious extrapolation of expected government debt, using simple ratios from previous debt levels. Perhaps one can risk surmising from this that the general level of knowledge of basic arithmetic was rather low at the time in the English-speaking world. At least Paine appears to have thought so as regards his intended readers. When I first conceived the idea of seeking for some common ratio that should apply as a rule of measurement to all the cases of the funding system, so far as to ascertain the several stages of its approach to dissolution, I had no expectation that any ratio could be found that would apply with so much exactness as this does. I was led to the idea merely by observing that the funding system was a thing in continual progression, and that whatever was in a state of progression might be supposed to admit of, at least, some general ratio of measurement, that would apply without any very great variation. But who could have supposed that falling systems, or falling opinions, admitted of a ratio apparently as true as the descent of falling bodies ? I have not made the ratio any more than Newton made the ratio of gravitation. I have only discovered it, and explained the mode of applying it. As to national resources, Mr. Pitt, like all English finaciers that preceded him since the funding system began, has uniformly mistaken the nature of a resource ; that is, they have mistaken it consistently with the delusion of the funding system; but time is explaining the delusion. That which he calls, and which they call, a resource, is not a resource, but is the anticipation of a resource. They have anticipated what would kave been a resource in another generation, had not the use of it been so anticipated. The funding system is a system of anticipation. Those who established it an hundred years ago anticipated the resources of those who were to live an hundred years after; for the people of the present day have to pay the interest of the debts contracted at that time, and all debts contracted since. But it is the last feather that breaks the horse’s back. s to Mr. Pitt’s project of paying off the national debt by applying a million a-year for that purpose, while he continues adding more than twenty millions a-year to it, it is like setting a man with a wooden leg to run after a hare. The longer he runs the farther he is off.